A cat is located at the point(-6,-4) in xy plane. A bottle of milk is kept at (5,11). The cat wishes to consume the milk travelling through shortest possible distance. 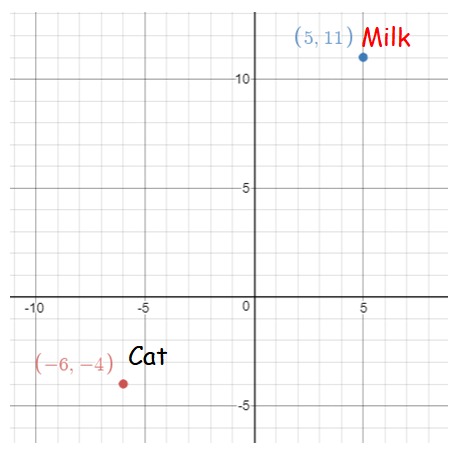 Find the equation of the path it needs to take its milk. 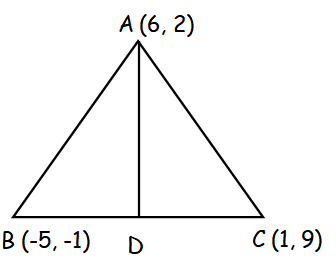 The median drawn passing through the vertex A intersect the side BC at the midpoint. If a line passing through the vertex A is altitude, then it will be perpendicular to BC. Equation of altitude passing through A. After having gone through the stuff given above, we hope that the students would have understood, "Find the Equation of the Line Examples". Apart from the stuff given in this section "Find the Equation of the Line Examples", if you need any other stuff in math, please use our google custom search here.